Water surfing and wakeboarding are a pretty complex sport but some wakeboards are designed as such to make it easier and comfortable for you. The Hyperlite 2017 Prizm Women's Wakeboard is one such. Like a prism splits up the light into its components the Hyperlite 2017 Prizm Women's Wakeboard dissects the complexities of wakeboarding, particularly for women. It has an attractive blue color and it is available in two different sizes. 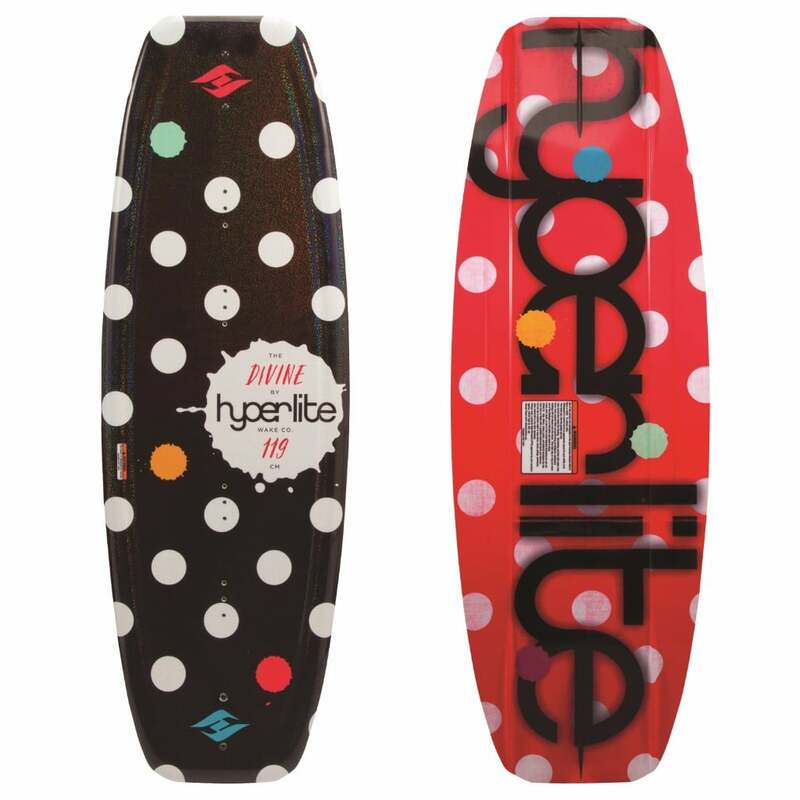 Hyperlite has integrated their secret ingredient in the Prizm wake-board to make it lightweight and 100% wood like i.e. the Bio3 core material. 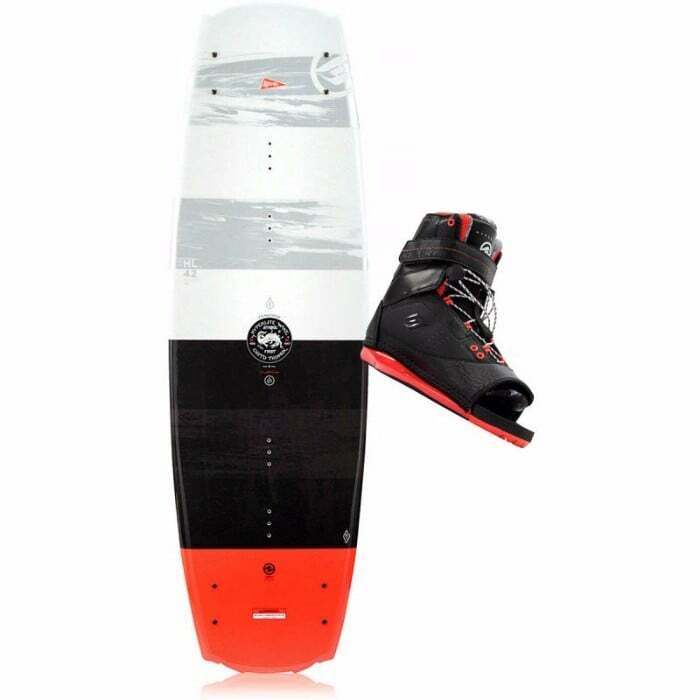 Other features of this wake-board are mentioned below. 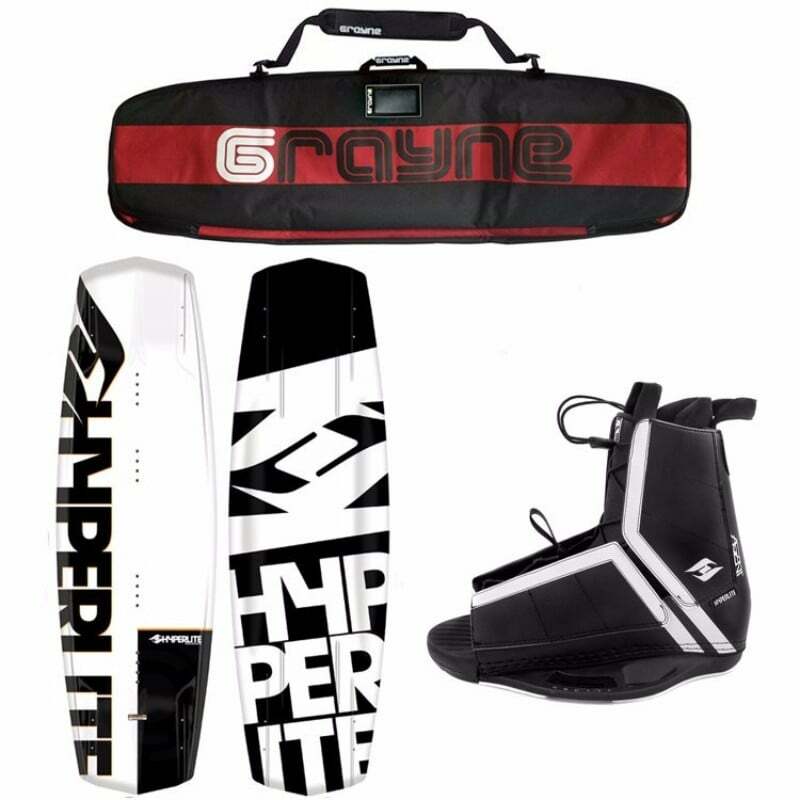 If you are looking for a women’s wakeboard then we would recommend you the Hyperlite 2017 Prizm Women's Wakeboard only if you are high on a budget. Surely, you would not regret spending money on it. Check Amazon for promotions and discounts on the Hyperlite 2017 Prizm Women's Wakeboard by clicking below. 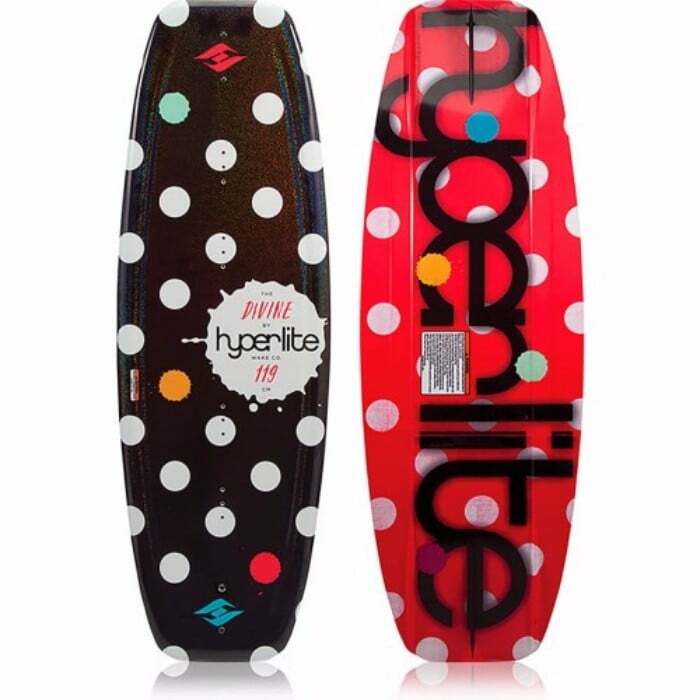 With Hyperlite wakeboards you can’t think of even some little bit discomfort because they are shaped and designed by experts and professionals. 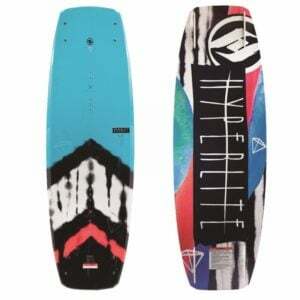 The Prizm wake-board is designed by one of the experts at Hyperlite namely Greg Nelson. He has a lot of experience in his field and therefore he came up with an innovative idea to make Prizm the perfect wakeboard for women. The edges on the 2017 Prizm Women's Wakeboard are made thicker between the inserts and thinner on the outside of the board. This design is firstly safe because one can slowly surf due to the thicker edges. Secondly, if one changes their body shape and hold the strong edge, they can also generate speed, so the board is equally beneficial for beginners and pros. To make the 2017 Prizm Wakeboard lightweight and thus perfectly suitable for women this board is made up of the Bio3 Core material. This material was recently invented by Hyperlite team and it has the specialty that it looks and feels like wood but it isn’t wood exactly. Many people love woody wake-boards because it has special snap and it is perfect for generating more speed. Wood makes the board heavier so the rider must be lightweight to safely surf. The Biolite3 material has all the specifications of wood but it is very lightweight. Therefore, now women can easily surf with the perfect wake-board i.e. 2017 Prizm Wakeboard. Check Amazon for the best prices, discounts and promotions on the 2017 Prizm Wakeboard by clicking on the exclusive link below. 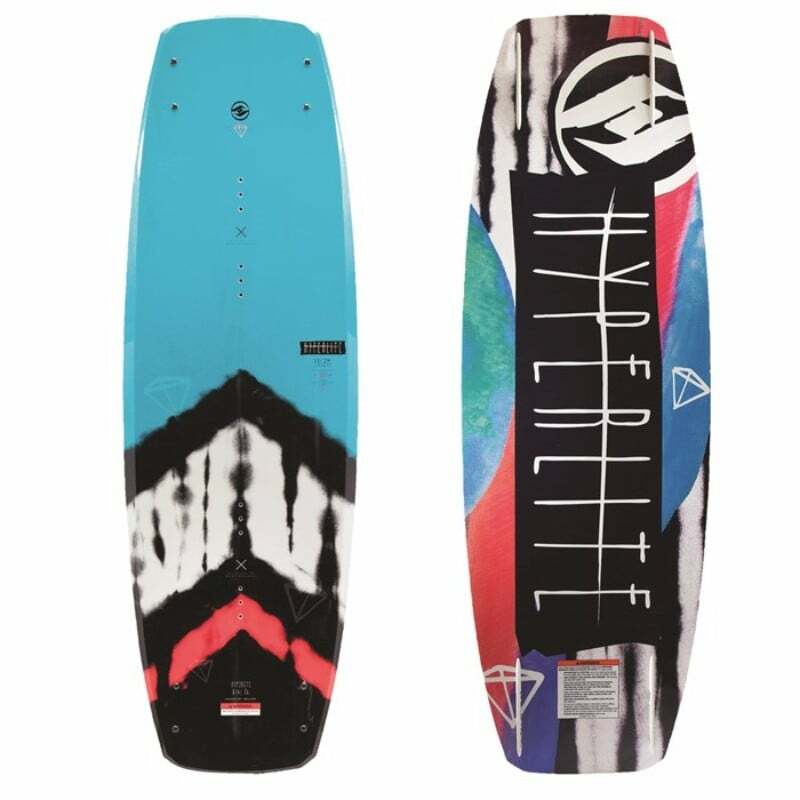 If you are looking for a women’s wakeboard then we would recommend you the Hyperlite 2017 Prizm Women's Wakeboard only if you are high on a budget. Surely, you would not regret spending money on it. The newest Prizm has all the necessary things which make it the perfect wakeboard for women, for example, it is lightweight, durable, strong with a layered glass structure. These features help to retain the original pop off even after years of use. Hyperlite boards do not disappoint customers, similarly, the Prizm was highly loved by anyone who used it and therefore it received high ratings of 4.5 out of 5 stars. Buy the 2017 Prizm Women's Wakeboard by Hyperlite on Amazon through the exclusive link below and get free shipping with Prime.